Yoko Ono of Yoko Ono Plastic Ono Band performs at Bowery Ballroom in New York City. by Hilary Hughes, Rolling Stone. Other highlights of Ono’s controlled chaos were performances of “Higa Noboru” and “Waiting for the D Train,” the latter coming off as an exhibition in musical prowess. The Plastic Ono Band plowed through the surf-straddling single, with Wilco’s Nels Cline and Sean Lennon trading off on solo shreds while Yoko wailed herself into oblivion. Her striking rendition of “Higa Noboru” — accompanied only by Lennon and the careful plodding of a solemn piano — served as a lesson in vulnerability, a scene so intense that fixating on Ono awash in light became a crucial need as she ruminated in a steady stream of English and Japanese. 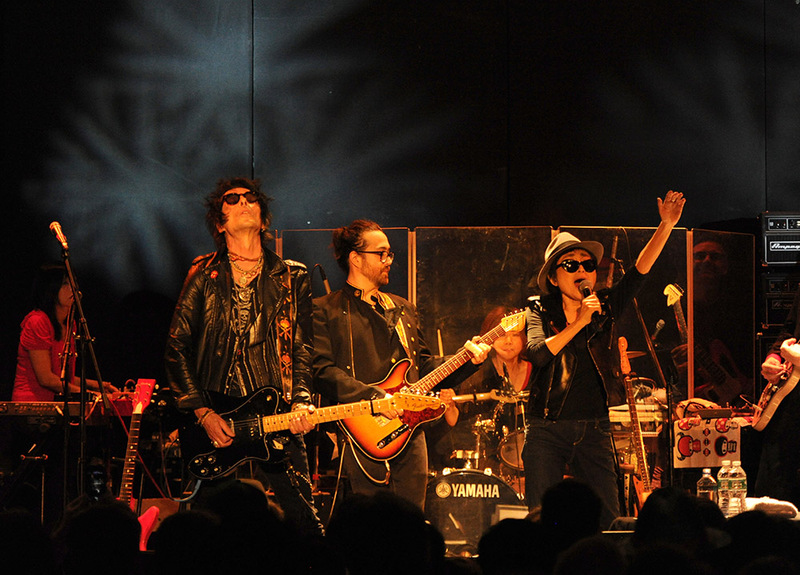 After an hour-long set, Yoko Ono Plastic Ono Band were joined by Earl Slick for the encore, who Lennon introduced as an old friend. “I first met this amazing guitar player when I was five!” he said before noting that Slick had joined he and Ono for the concert that paid tribute to Double Fantasy, the final release from his parents. Slick, Cline and Lennon did justice by the the effusive licks of “Don’t Worry, Kyoko (Mummy’s Only Looking for Her Hand in the Snow),” which were helmed by John Lennon and Eric Clapton back when the song was recorded in 1969 for Ono’s Fly. The closer was a fitting tribute and an ideal showcase for the talents that make up the exceptional Plastic Ono Band, which in this most recent incarnation include Yuka Honda (Cibo Matto), Yuko Araki (mi-gu) and Jared Samuel (Invisible Familiars). In the space between the heartbroken soliloquys and eccentric dance anthems, Ono doesn’t necessarily need to get by with a little help from her friends, but her ability to thrive and subsist on collaboration has done right by her and Yoko Ono Plastic Band as they continue to redefine the avant-garde in their own exploratory terms. 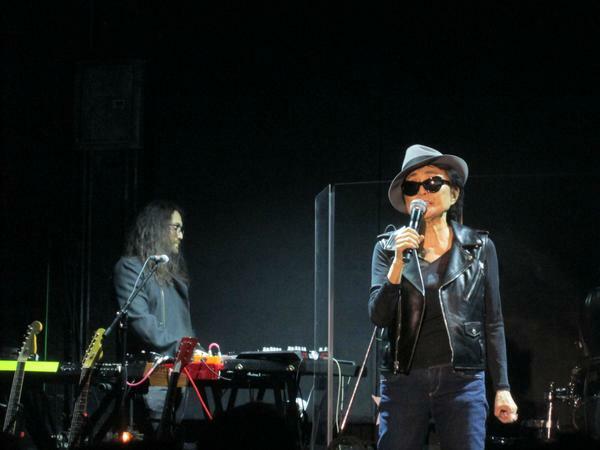 Live performances by the Yoko Ono Plastic Ono Band are undoubtedly rare, so last night was bound to be special. And when I walked into Bowery Ballroom to see a projection screen displaying clips of various bare asses, soundtracked by bird calls, my suspicions were confirmed. My initial confusion at the scene immediately turned into apathetic acceptance that this was merely a part of the show. Ten minutes after the doors opened, an eager crowd swarmed the venue, with many attempting to push to the front only to be denied access by diehard fans, myself included. But whether you were standing directly in front of the stage or in the back of the venue, it was impossible not to be enamored by the happenings on the projection screen. Among the hour long pre-show entertainment were narrated poems with titles like “Tuna Fish Sandwich Piece,” footage of Yoko’s performance pieces from the ’70s in which her clothes are cut up and she’s wrapped in gauze like a mummy, and an explanation of the aforementioned gluteus maximus footage, which was culled from her 1966 Film No. 4 (Bottoms) featuring 365 15-second clips of bare bottoms. The pre-show was an engaging experience, meant to strike a reaction from the audience. And as hard as it was to steer your eyes away from the butts and the stage, it was even harder once Ono stepped out. At 80-years-old, Ono is still able to command an immense stage presence, despite her small stature. Her energetic demeanor matched her vocal vigor, and even her dance moves. As she sang through crowd favorite, Waiting For The D Train, a euphoria drifted through Bowery Ballroom as the eclectic crowd of both new and seasoned fans sang and danced along. 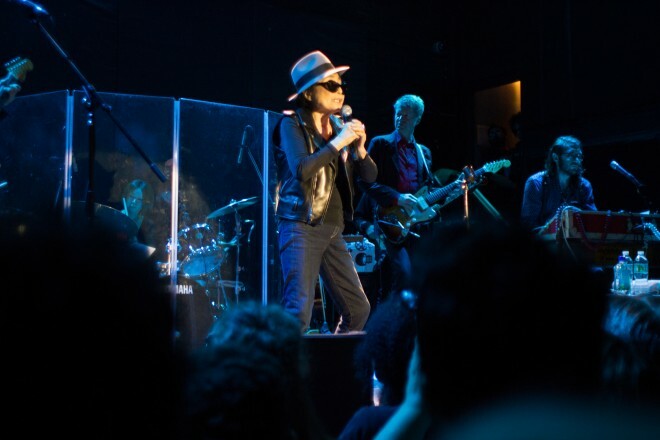 Yuka Honda, Earl Slick, Sean Lennon, Yugo Araki & Yoko Ono of Yoko Ono Plastic Ono Band perform at Bowery Ballroom in New York City. There were a few moments Sunday night at the Bowery Ballroom that the seven-piece wailing pastiche-funk 2013 incarnation of the Plastic Ono Band threatened to overpower Yoko Ono. But not many. Whenever the double guitars and twin keyboards and programmed and live drums and throbbing upper-register bass-lines and trumpet seemed about ready to swallow the center, suddenly, there was Yoko. Ululating, shrieking, honking, squeaking, whoaing, yelping, laughing, sloganeering, singing, and cutting through it all. Marking the release of the new guest-studded Take Me To The Land of Hell, Ono — playing her only show of 2013 — was at once both commanding and sweet, beautifully cosmic and unflinchingly void-staring. During her hour-long (and thankfully not guest-studded) set, she lobbed far-out hippie love-bombs one tune (“It’s just money! You don’t have to work anymore!”) and unfurled harrowing half-monologues the next. “You stoned me, you burned me, you drowned me,” she sang on “Rising,” her voice making its tender limitations known. And when she wasn’t vocalizing, speaking, giggling, or dancing slyly, there was a tiny bit of time leftover to note that, in fact, there was an 80-year old woman up on stage doing all of it. And not just any 80-year old woman, but one who lived through World War II in Japan, was a catalyst in both the American and Japanese avant-garde undergrounds, helped kickstart the Fluxists, founded one of the first DIY performance spaces in Manhattan, painted YES on a ceiling in very tiny print, etc., etc., all before meeting John Lennon. Paul McCartney may’ve chilled a few times with Stockhausen, but Yoko was the coolest Beatle. Leading the Plastic people’s charge was 37-year old Sean Ono Lennon, very much (it has to be said) resembling his pa, circa the strollin’-across-an-LP-cover-in-a-white-suit period. Mother and son sang together on “There’s No Goodbye Between Us,” an excellent abyss number from Take Me To The Land of Hell with an unabashedly sweet melody perhaps made for a younger voice but written (and delivered beautifully) by Ono. Lennon the Younger jumped, shredded, cued changes, and played bass as needed. The big band — buttressed by super-guitarist Nels Cline and Cibo Matto synthesist Yuka Honda — specialized in supple utopian grooves, locking in with a rubbery neon crunch that didn’t get nearly enough room to fly. One of the set’s few disappointments was a version of the 1971 in-the-pocket yowl-opus “Mindtrain” that seemed tailor-made for Cline’s elegiac and cloud-like filigrees but, trimmed to about a third of its original 17-minute length, seemed to lose something in the restitching. Even so, the band remained thrilling for the duration, if only for the promise that — at any moment at all — one of their lead singer’s phrases might spin out and open up into something unimaginable. It was a promise kept again and again, Ono’s vocals bending from language to pure emotional horn tones. And also sometimes bleating. But that’s part of the promise, too. Though clearly not up for extended vocal acrobatics, Ono only received a dash of reverb, and maybe didn’t even need that, sometimes flowing with the band, sometimes pushing against them, like an impish surrealist version of the James Brown cape routine. For the latter two encores, the band brought out Earl Slick, the circa-’70s-and-’80s guitarist for Lennon and David Bowie. They did “It’s Been Very Hard” (file under: the Yoko Variations, blues), and then Ono introduced 1971’s “Don’t Worry Kyoko (Mummy’s Only Looking For Her Hand In the Snow),” written about her then-kidnapped daughter. “The original guitars were by Eric Clapton and my dad,” Sean pointed out, “which is pretty dope.” Maybe so, but the original vocals were by Yoko Ono. By some measures, that’s far, far cooler. 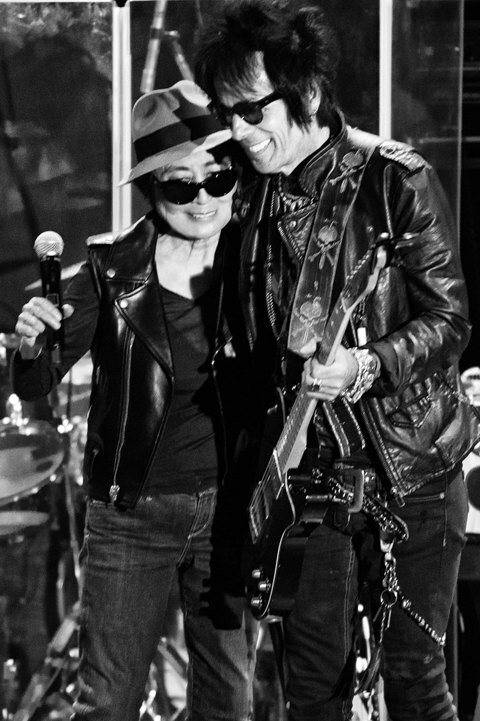 Yoko Ono & Earl Slick of Yoko Ono Plastic Ono Band perform at Bowery Ballroom in New York City. Yoko Ono and the Plastic Ono Band (which at the moment includes Cibo Matto’s Yuka Honda, mi-gu’s Yuko Araki, and Invisible Familiars’ Jared Samuel) played their only US show of 2013 at NYC rock club Bowery Ballroom last night (9/15) in support of the band’s new album, Take Me to the Land of Hell, which comes out this week. Sean Lennon & Yoko Ono of Yoko Ono Plastic Ono Band perform at Bowery Ballroom in New York City. by Steve Kane, iRadio Philly. GIt was a gorgeous and sunny day in downtown Brooklyn on September 15th, perfect atmosphere for a legendary performance by some of the most influential artists of the coming age in pop culture. Yoko Ono Plastic Ono Band was headlining The Bowery Ballroom, a very intimate setting for the group and by all means amazingly suitable. 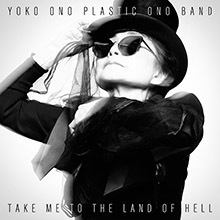 Yoko Ono released her latest album Take Me To The Land Of Hell on September 17th, and it may be her most straight forward and sonically superior album to date. 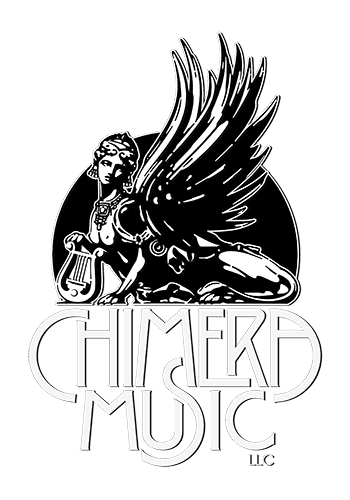 Produced by Sean Lennon and his record label Chimera Music, it is incredibly exciting to see the dream team of musicians to rejuvenate such miraculous creativity and art. 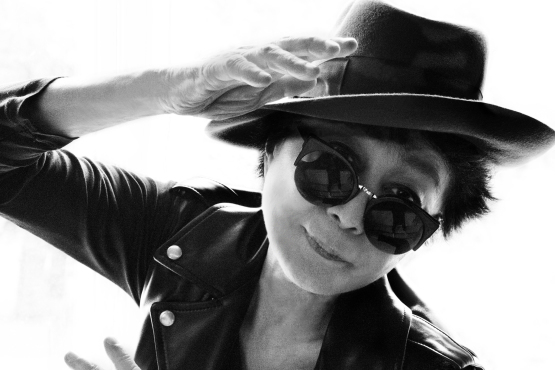 Parishioner of peace and love, Yoko Ono has impressively spent nearly an entire career dedicated to world care and contribution with no signs of slowing down. Internationally known for her marriage with one of Earth’s most important musicians, John Lennon, together they served as icons for a world to strive for. War is over, if you want it. Bed peace, Hair peace. Give peace a chance. These sayings are intrinsic and a critical part of the collective sub-consciousness of today’s society, all started by John and Yoko in the revolutionary era of the late 1960’s into the coming technological age of the late 1970’s. A great realization comes upon us this past weekend, these sentiments are as strong as they ever were and now is the time to help act upon them. The time was right to open the doors for the audience at around 7pm and the anticipating line of people made their way into the lounge area of The Bowery Ballroom. Each audience member were handed an ‘OnoChord’, a very innovative keychain LED light signifying peace and love. The new album Take Me To The Land Of Hell was available for purchase and it was beautiful sight to see. About an hour later the main room’s doors were let open and the audience made their way to the front of the stage. Opening the show were various films from Yoko Ono’s vast art career. Starting off was Ono’s remarkably striking ‘365 Bottoms’ featuring the bare behinds of dozens of people walking in the same motion, definitely easing up the crowd to great fun humor. Other films shown were the avant-garde ‘Fly’, showcasing a laying down Yoko with a fly creeping and crawling over her body with accompanying classic squeals and screams traditional of Ono. An emotional and riveting moment of the opening segment was a showing of John and Yoko reading pieces from her book of poetry entitled, Grapefruit over the audio of Lennon’s “Imagine.” The final film shown before the band took the stage was a delightful short entitled “The Secret Of My Long Life” with Yoko Ono silently dancing in place with great emotion and vitality. At around 8pm the band made their way to the stage. 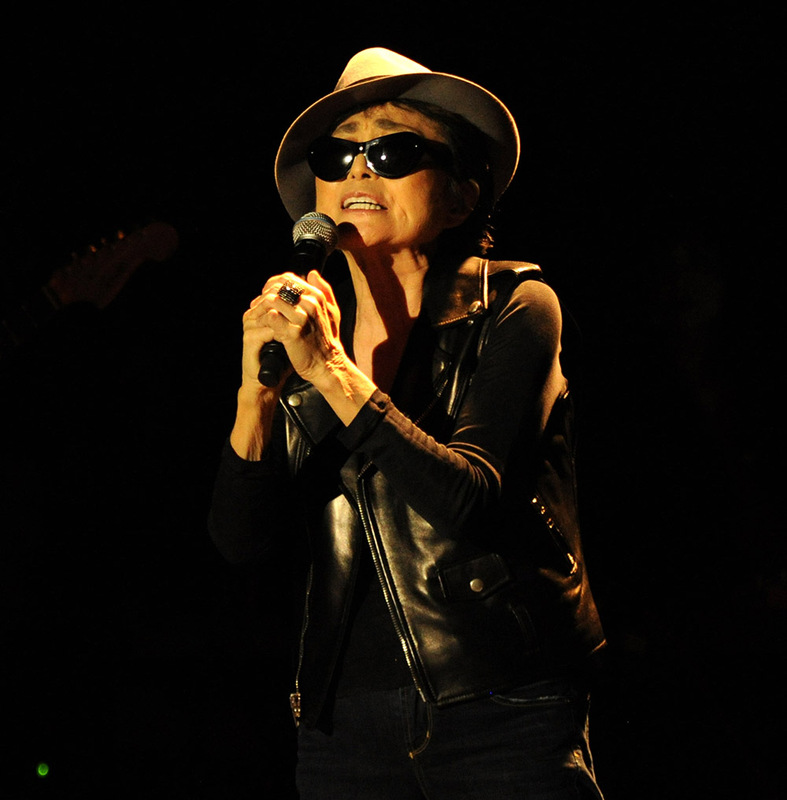 Yoko Ono, at 80 years is of full presence and vigor. The remaining seven members of the band, including Sean Lennon starting on bass, filled the stage as a complete wall of sound with heavy groove. The set started with the first track from Take Me To The Land Of Hell entitled “Moonbeams.” Ono swayed and frolicked about the stage in a swooning fashion with enchantment. The Plastic Ono Band was complete with a trumpet player, keyboardist, two guitars, bass, drums and Yoko Ono. Jumping right into the next track, “Cheshire Cat,” Sean Lennon provided guitar licks strong enough to satisfy any Parliament Funkadelic fan. The song proves to be a great example of the state of raw and real rock music. Yoko’s legendary, traditional and innate howling and squealing had the crowd in a trance as each song transitioned to the next. In between songs Yoko Ono reminisced about writing songs, including a colorful moment where John Lennon presented a 14+ minute song to producers during a time songs were written less than 3 minutes. Witnessing the Yoko Ono Plastic Ono Band live makes one realize just how influential her sound and presentation is with contemporary artists, from the early 80s with The B-52s and even up and coming acts like the Yeah Yeah Yeahs. With a ferocity and precise energetic dynamic, Yoko and her ‘orchestra’, as she mentioned the band, induced the audience to fantastic dancing. The intimacy of The Bowery Ballroom provided a stellar setting for the night, with an aura of excitement throughout the packed room. The future is now, Yoko Ono Plastic Ono Band is as strong as ever. With their latest US gig, the band radiated in joyful passion. Their latest record released on September 17th entitled Take Me To The Land Of Hell is a phenomenal, promising and strong display of songs crafted and recorded by Sean Lennon’s own record label Chimera Music. Musical guests appear throughout the album including Lenny Kravitz, the tUnE-yArDs, Ad-rock and Mike D of Beastie Boys, and even Philadelphia’s own Questlove of The Roots. All in all, the Plastic Ono Band is alive and prosperous. In its strongest form to date, there is no sign of ‘plastic’ artificiality with the genuine, authentic and outstanding new album. One of the greatest fierce leaders of our time toward human spiritual growth, Yoko Ono, has returned and with much beautiful celebration. by Brad Farberman, Time Out NY. There are highlights off the dance floor, too. The old-timey “Leaving Tim,” for instance, finds the up-and-coming jazz guitarist Julian Lage offering a warm, singing Gypsy-jazz solo. At the Bowery Ballroom, Ono, who turned 80 earlier this year, will be backed by a band including Lennon and Cline. Despite the new album’s name, the gig should tend toward the heavenly.